Hansen, F. and Christensen, L.B., eds. (2003). Branding and Advertising. Copenhagen: CBS Press. ISBN 87-630-0118-7. Neijens, P.C., Hess, C., van den Putte, B. and Smit, E., eds. (2004). Content and Media Factors in Advertising. Amsterdam: Het Spinhuis Publishers. ISBN: 90-5589-228-9. Bjerke, R., Kunoe, G. and Thjomoe, H.M. eds. (2005). Conference Proceedings: Abstract of Papers Presented at the Conference. Oslo: Norwegian School of Management. ISBN: 82-7042-642-3. Diehl, S., Terlutter, R. and Weinberg, P., eds. (2005). Advertising and Communication. 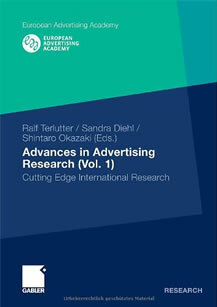 Proceedings of the 4th international Conference on Research in Advertising. Saarbrücken: Saarland University Press. ISBN 3-00-016304-2. Diehl, S. and Terlutter, R., eds. (2006). 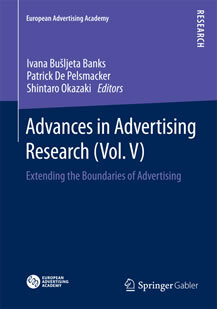 International Advertising and Communication. Current Insights and Empirical Findings. Wiesbaden: Gabler Verlag. ISBN 978-383-500-455-9. Costa Pereira, F., Verissimo, J. and Neijens, P.C., eds. (2008). 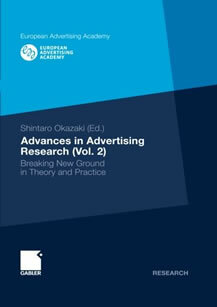 New Trends in Advertising Research. Lisbon: Silabo Publishers. ISBN 978-972-618-493-5. De Pelsmacker, P. and Dens, N., eds. (2009). 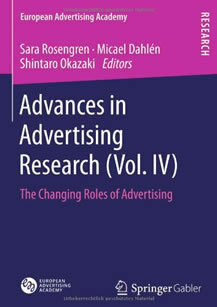 Advertising Research; Message, Medium and Context. Antwerpen: Garant. Verlegh, P., Voorveld, H., and Eisend, M., eds. (2015). 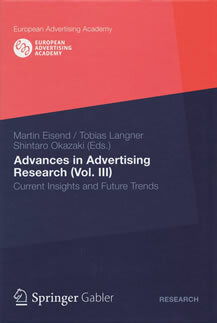 Advances in Advertising Research (Vol. VI). Wiesbaden: Springer.